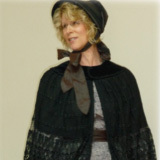 A New Playwrights Presentation: The Battle of Gettysburg and its aftermath, as told by Miss Hattie Elizabeth Turner. Witness to Gettysburg is the story of that fearful struggle, the bloodiest battle ever to be fought on American soil. Just what does a small town do when suddenly faced with thousands of casualties?